I seem to have been visited a lot by Robins this year so far. 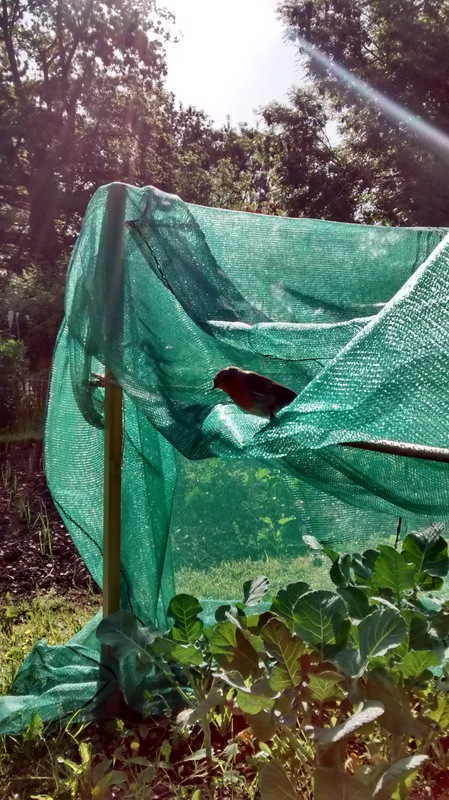 There is an ever present Robin, whenever I’m weeding on the allotment [I don’t to be honest know if it’s the same bird, or there are a multitude of them, taking it in turns to feed on the small insects an grubs I disturb when weeding]. And now we seem to have one nesting in the garden or rather brooding eggs. The nest is one that we put up, but to this point has never been used, and has been there so long, it’s falling apart. We’ll keep an eye on them from a distance. 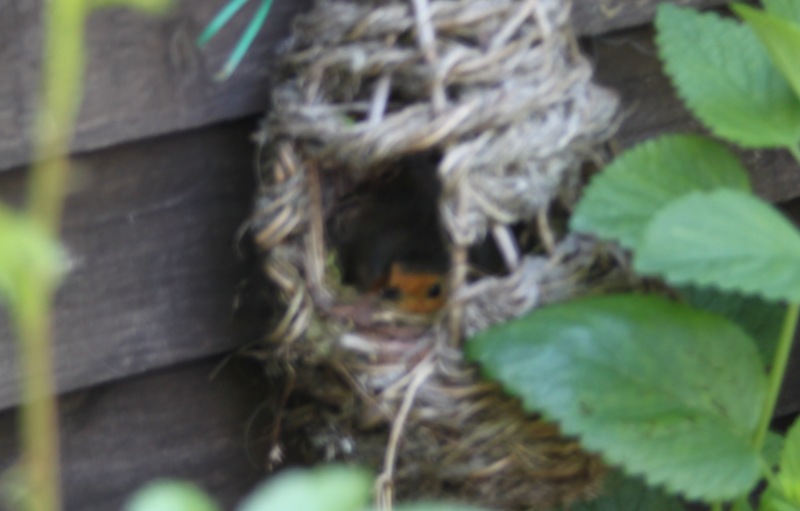 This entry was posted in Garden / Allotment, Wildlife/Nature and tagged allotment, bird, birds, garden, nestbox, robin. Bookmark the permalink.